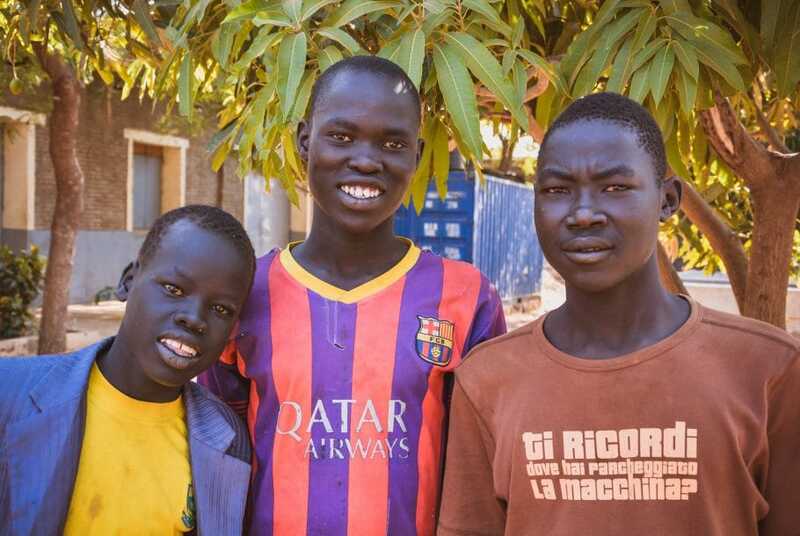 "South Sudan has been suffering from a bloody civil war since the end of 2013, which has killed tens of thousands of people and has displaced more than a million." A bloody civil war has raged in South Sudan since 2013. This has also seen the destruction of a large part of the country's infrastructure, and there are virtually no educational opportunities for its young people. 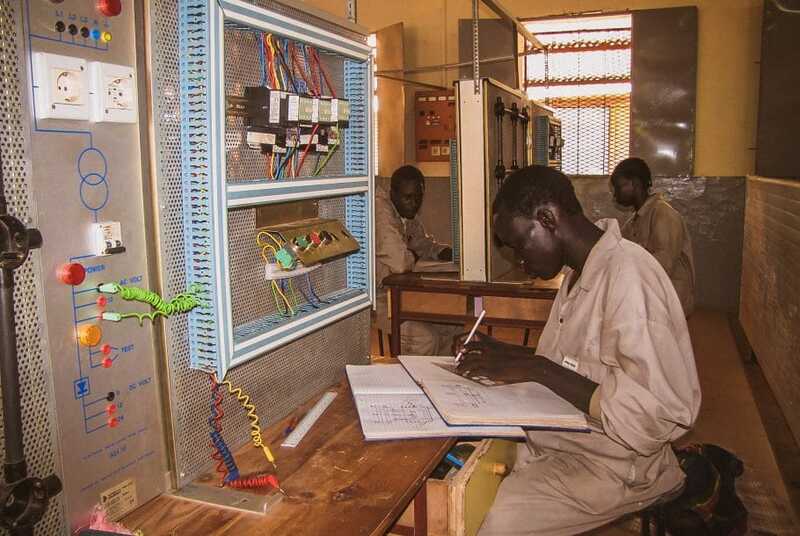 One exception is the Don Bosco vocational training centre in the city of Wau. 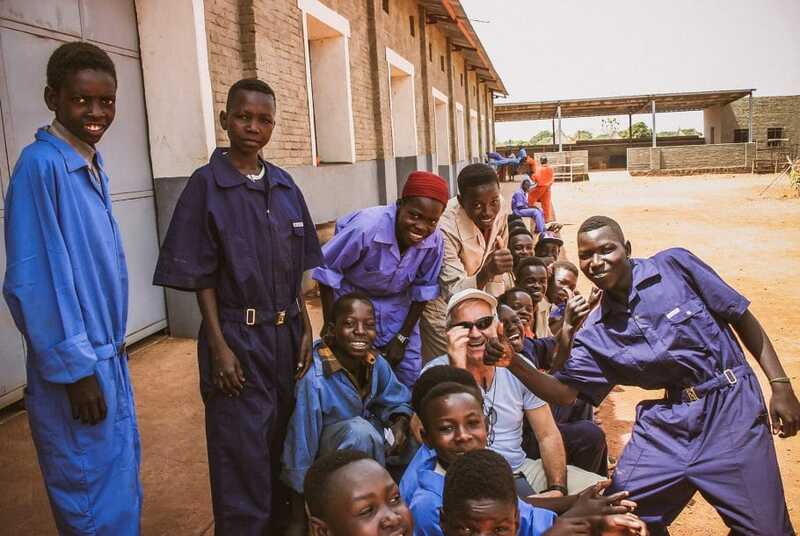 The knodel foundation supports the centre, where annually more than 300 young people receive a vocational training and assistance in entering into working life. South Sudan declared independence in 2011, but bloody civil war broke out again at the end of 2013. Ten thousand people have been killed in this conflict, and over one million have been displaced. The consequences of the war have been devastating: the country’s infrastructure has for the most part been destroyed, it has no functioning healthcare system and virtually no educational opportunities for its young people. Many children and young people cannot go to school, as they have been fleeing for years and have had to keep on moving through the country. As agricultural activity is not possible in the regions affected by the war, more than 8 million people are threatened by acute famine. 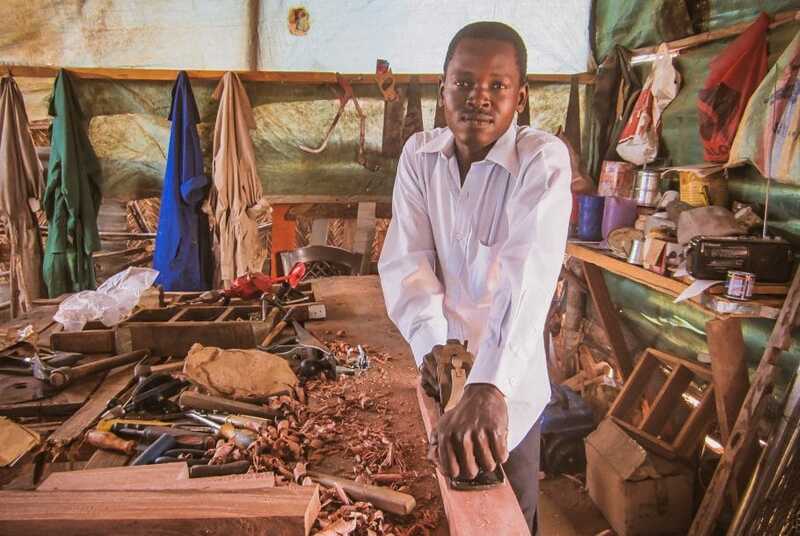 In the whole region around Wau, the Don Bosco Vocational Training Centre is the only place where an accredited training course can be completed. 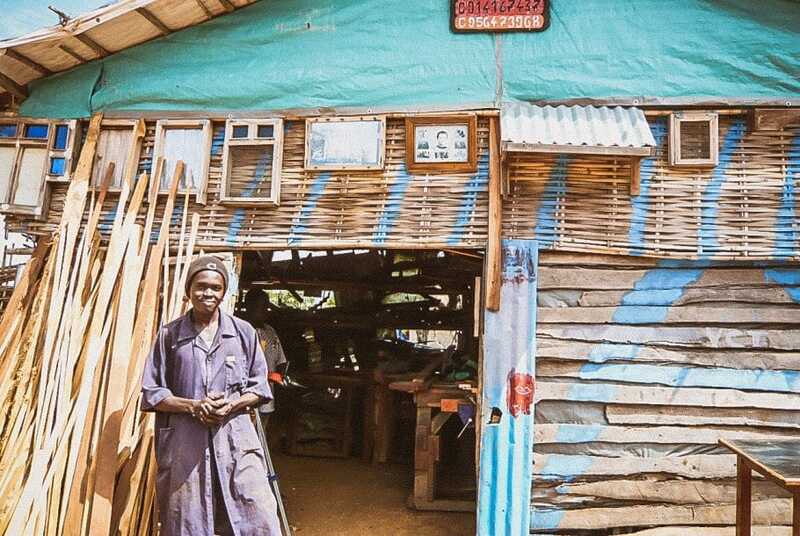 Working in manual or technical professions represents one of the few possibilities for young people in South Sudan to feed their families and to take charge of their own lives. 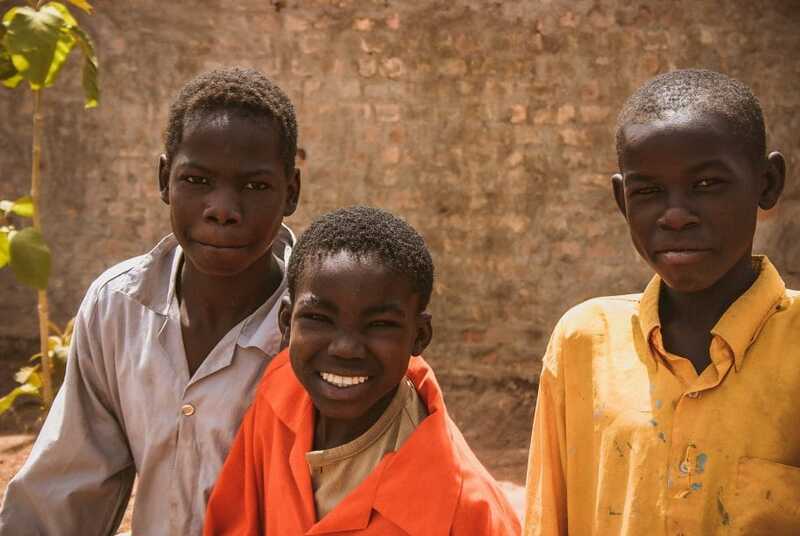 The vocational training provided by the Salesians of Don Bosco in Wau consists of 70% practical classes and 30% theoretical knowledge. The theoretical teaching includes, along with the sharing of technical knowledge, English lessons and the development of entrepreneurial skills. 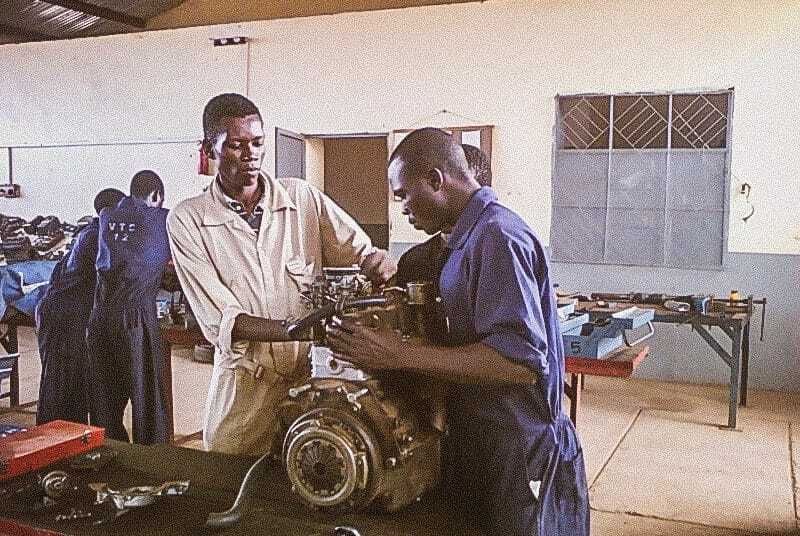 The vocational training centre offers two-year-long courses in 6 professional fields (motor mechanics, printing, welding, bricklaying, carpentry, electrics), as well as one-year computer courses. Condensed evening courses lasting for 6 months in the same subject areas are also offered, if it is not possible for the young person to attend a full training cycle. 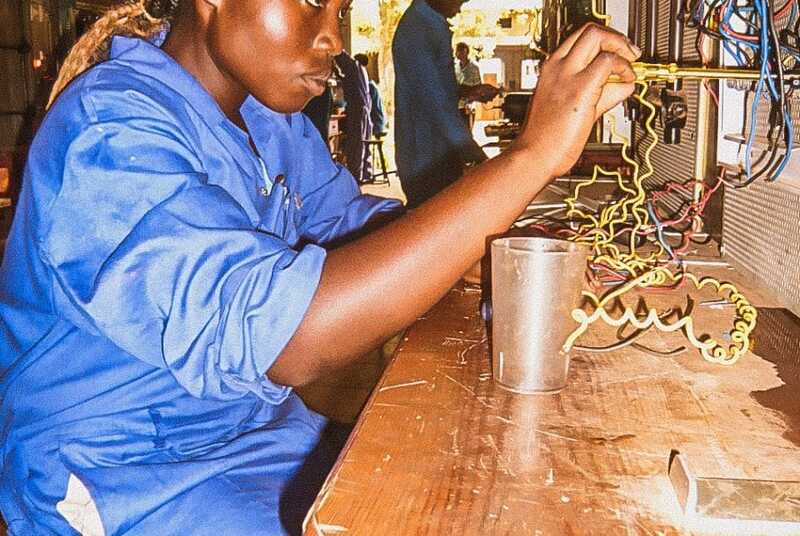 So that they can successfully enter into working life after completing their training, the graduates from the Don Bosco Vocational Training Centre are supported with microcredit loans and working materials. According to the South Sudanese constitution, girls have no right to education. 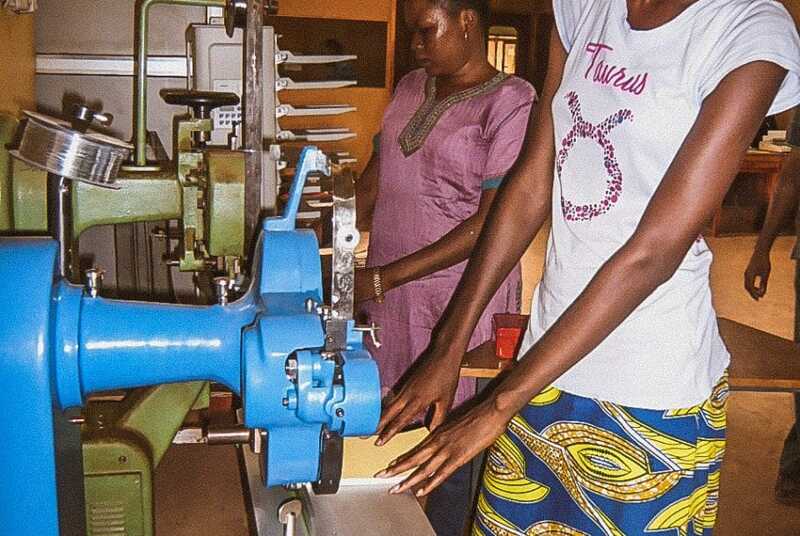 The Salesians of Don Bosco, who run the vocational training centre, are working against this discrimination: about 30 percent of their students are young women. 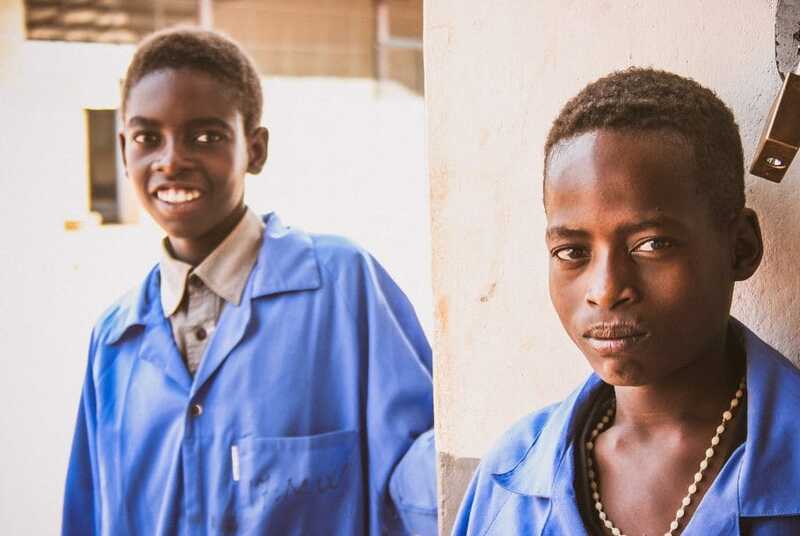 As they are not generally supported by their families, the Salesians pay their full fees and the costs of their training materials. In the Women’s Club the girls are also offered additional courses in health and hygiene. 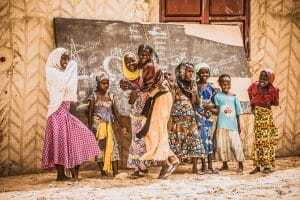 Another challenge arises from the fact that most young people have only had a minimal level of school education – due to the conflicts, schools have often been closed for long periods and the pupils have been displaced or caught up in the fighting. The courses offered in Wau are adapted to accommodate this need and the Salesians of Don Bosco make great efforts to provide additional tutoring. Furthermore, the centre organises sports competitions, excursions, theatrical, musical and cultural events. These activities are intended to help the students work through the trauma caused by the war. They also function as an active prevention – as there is still the danger that young people will take up weapons to gain questionable glory in war, rather than completing their training so that they can feed themselves and their families in the future.